Ska Studios is a two person, two cat team best known for Salt and Sanctuary, The Dishwasher: Dead Samurai, its critically acclaimed followup, The Dishwasher: Vampire Smile, Charlie Murder and I MAED A GAM3 W1TH Z0MB1ES 1N IT!!!1. James codes, makes art and music while Michelle makes more art, designs and manages business and PR. They’re married and got engaged at PAX! Three marks remain! 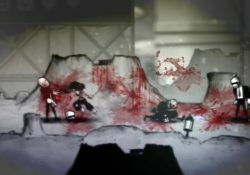 Play The Dishwasher: Vampire Smile to dig further in to Yuki’s bloody quest for revenge. 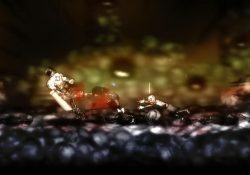 The game features the Dishwasher and Yuki’s campaign story lines, online and local coop play, 50 Arcade Challenges and Dish Challenge, including a ton of nasty new weapons and techniques. 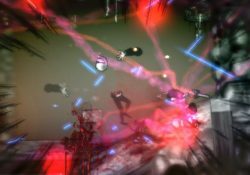 Launched initially on Xbox360 in 2011 and later on Steam in 2017. In the “Skallection” bundle on Steam for 15% off for 2 to 3 of Ska Studios’ games. 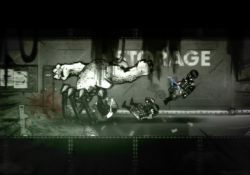 Ska Studios used the XNA framework to originally develop Charlie Murder and FNA was created and used by Ethan Lee for the Steam port. 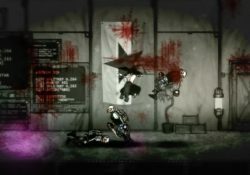 Seek retribution as you slash your way through 13 unique campaign levels as Yuki or The Dishwasher and take down the three corrupt leaders of society. With an all-new, totally easy Pretty Princess difficulty mode, the challenge of Yuki’s journey may be lost but is made up for with an ample supply of hearts and rainbows. Wield brutal weapons! With nearly a dozen weapons including the brutal Violence Hammer, the medically disturbing Painkiller, and the scissorific Guillotine, you will never be without a violent way to decapitate your foes.